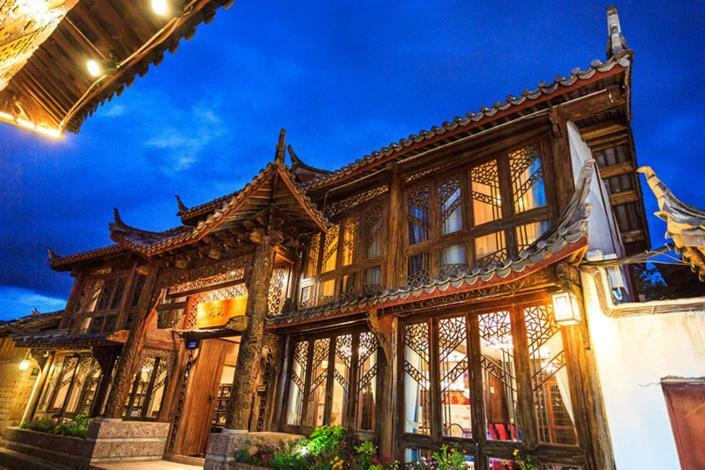 The Flora Lijiang Ancient Town Nanmen Mudanting Inn is a great choice for guests looking for accommodation in Lijiang, having been recently opened in 2017. With Free in-room Wi-Fi available, you'll have no problems keeping connected. With Lijiang Railway Station just 8km away and Sanyi Airport only 27km away, transportation is very convenient. Seeing the sights from this hotel is easy with Lijiang's attractions including Lijiang Ancient Town and Sifnag Street close by. This hotel makes a great place to kick back and relax after a long day of sightseeing. For guests' convenience, airport pickup can be arranged. For those driving themselves, parking is provided on site. There's never a dull moment at this hotel, our guests indicate that the facilities are excellent. This hotel is particularly popular with those traveling as a couple.